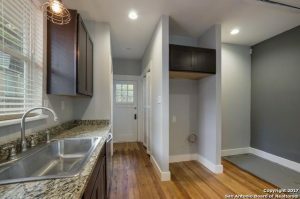 Charming 1920s Craftsman Bungalow completely remodeled in the recently re-zoned historic Tobin Hill East. Many original features remain including hardwood floors, windows, fireplace, brickwork and more. 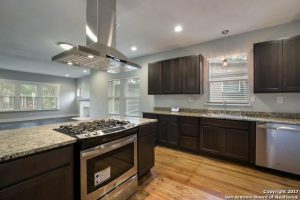 Stunning kitchen has granite countertops, custom cabinetry, and new stainless steel appliances. Home also has unique cistern/wine cellar that can be customized. Immerse yourself in the thriving Pearl/St Mary’s entertainment district. Large front porch and back yard are perfect for entertaining. Welcome home. 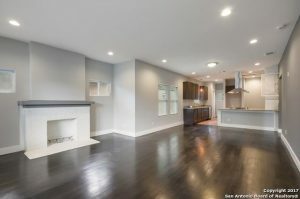 E French Place ,is one of the most desirable areas in the entire San Antonio TX region. With excellent schools and a close proximity to the city. it’s an oasis just inside of the city. Thank you for reading about 419 E French Place San Antonio TX 78212.